It's official: New Zealand can no longer be known mainly as a producer of sauvignon blanc and pinot noir. The Kiwis are still doing these very well - especially to my mind, the pinots - but the real story now lies elsewhere, as a June tasting in London confirmed. Not only is this innovative little producing nation now doing great things with aromatics but its syrah (mainly from Hawkes Bay) is showing incredibly well, displaying a strongly distinctive personality quite different from either Australian shiraz or French burgundy. If that weren't enough, it is also making some great sparkling wine, at good prices - Oyster Bay have just launched a Cuvee Brut along with a delicious pink sparkler at a list price of £12.99. And now that a bizarre, rather complex ban on the import of NZ sweet wines has been lifted - something to do with their potential alcohol percentage - we can taste how the Kiwis have got a good grip on these, producing really tasty wines, again at great prices. Some aromatics to look out for: Bascand Estate Riesling Waipara 2009 (£8), a lovely medium dry wine, with soft stone fruit on the palate and a long finish. Pegasus Bay Riesling Waipara 2008 (£15), with some 23.3g of residual sugar this should taste unequivocally sweet but this is a complex, nuanced wine with lots of character and a surprisingly dry finish. Saint Clair Pioneer Block 5 Pinot Gris Marlborough 2009 (£16), a sophisticated but full and fruity wine with lots of fruit character. Astrolabe Discovery Kekerengu Coast Coast Pinot Gris Marlborough 2009 (£20), as far from conventional Italian Pinot Grigio as you could get, peach and apricot flavours and a wonderful structure. NZ has managed to get a really good hold on Gewurtztraminer, producing wines that wouldn't look out of place in Alsace. Three good ones are the Wairau River Gewurtztraminer from Marlborough 2009 (£13), Misha's Vineyard "The Gallery" from Central Otago, costing around £17.50 (but hard to source here as there is no UK distributor) and Saint Clair Pioneer Block 12 from Marlborough 2009 (£16). Some syrah to watch for: Te Mata Estate Woodthorpe Syrah Hawke's Bay 2008 (£12), medium-bodied, lots of fresh brambly fruit, long toasty finish. Esk Valley Syrah 2008, lots of spice and pepper on the nose but a wonderfully full fruit palate - will make an excellent accompaniment to most meat and cheese dishes. What a difference just a few years makes. There was a time, not that long ago, when one would approach a New Zealand tasting with some trepidation, particularly if you were not particularly partial to Sauvignon Blanc. I can remember attending a London tasting with some 120 wines, of which some 85 were Sauvignon Blanc, almost all displaying those traditional grassy, fresh nettle and cat’s pee characteristics. Aside from reaffirming New Zealand winemakers’ generally full-on approach to using this grape – rather than the more subtle or nuanced approach favoured by sancerre winemakers – one was left almost gasping from tasting so many acidic wines. There was also a sense that for all its successes, New Zealand wine was rather one dimensional: if you wanted white, it was Sauv Blanc, if red, you invariably got Pinot Noir, which in the tasting experience above constituted the remaining 35 wines. But no longer. Growing recognition that Sauvignon Blanc’s High Street appeal is fading – rose is the fashion-conscious wine drinkers’ beverage now after a brief fling with Pinot Grigio – has coincided with industry-wide overproduction that has sent prices spiralling down to the £4 level, almost half the price being achieved a few years back. 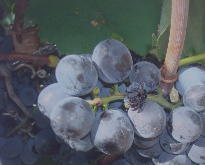 The result is that New Zealand winemakers are now using an increasingly wide variety of grapes, with growing levels of success. Winemakers no longer seem afraid to experiment (or “think outside the box” to coin a cliché) with even some Sauvignon Blancs being made in different ways, in some cases with a little wood, in others using a more classic. restrained style to produce a very different wine from those of a few years ago. Also notable were the 2008 Seresin Estate Gewurtztraminer from Marlborough, a smooth and elegant wine with plenty of peach and apricot fruit. 17.5/20, available for around £18 from Armit (0207 908 0600). Vinoptima’s 2006 Gewurtztraminer from Gosborne is a completely different style, big and punch with apricot and peach flavours enhanced by strong undertones of spicy fig. 18/20. Available from Berkmann Wine Cellars for £24. The next table along – the coming of age of New Zealand red wines – demonstrated that the country has moved a long way from (just) producing good pinots. Many of these are now world class, yet with prices well below those being asked for Oregonian Pinots or – obviously – burgundies. However what was most interesting here were the syrahs and the bordeaux blends, many of which demonstrated an elegance and sophistication few would have thought possible a few years ago. It was also good to see so many sweet wines on display at the next table – no fewer than 21 – confirmation that New Zealand's long running stand-off with the EU (something to do with the “potential” alcoholic strength of these wines) was at last at an end. There were many delicious and quite unusual wines here – suggesting the Kiwis are happy to make sweet wines of of most white grape varieties, even Chardonnay, which never quite tastes right to my tastebuds - although the often-tiny production means that few are widely available. If you are lucky however, Trinity Hill's Gimblett Gravels Noble Viognier, from Hawkes Bay, is a wonderful find as is the Coopers Creek Late Harvest Riesling from Marlborough, whilst for sheer but wonderful strangeness, Alan Scott's Late Harvest Sauvignon Blanc, from Marlborough, takes some beating. However it was the last of the four self-pour tables that really showed how far New Zealand has come in recent years. “Tables of the Unexpected” showed winemakers at their most daring, creating wines from varieties you would normally expect elsewhere. Some did not work at all - Trinity Hill's Tempranillo 2008 from Hawkes Bay seemed heavy and alcoholic – but some worked rather better, including the Stonecroft Zinfandel 2007 from the same region, which had smooth, warm tannins and tasted as if it would mellow further with age. The real honours at the this table went to Stonyridge Vineyard's Pilgrim, a well-made 2008 blend of syrah, mouvedre and grenache from Waiheke Island, that will develop really well over the next few years. My only grumble was the £35 price tag, reflecting the small production of this wine and I suspect, the British pound, which has managed to fall even against the New Zealand dollar. Amongst whites, Montana's Showcase Series Sauvignon Gris 2009 (£25) was quite delicious, with lovely apricot and pear fruit on the palate and a delicious follow through, showing an intense complexity that will also develop further with time. But for me, it is what some of the boutique wineries are up to today that makes New Zealand so special. Enzo Bettio's Vin Alto wines – made at his property in Clevedon, just outside Auckland – are a case in point. These Italian style wines are well worth a try, most notably the 2003 Retico (which is actually Amarone) and the 2005 Ritorno (Ripasso); these are both full-bodied wines, packed with the dried-fruit and berry flavours which make their Italian counterparts so appealing. Not cheap – at £40 and £30 a bottle, from Ellis of Richmond – but well worth trying if you want just a tiny idea of what New Zealand is now capable. Defiantly New World, New Zealand impresses Julian Wannell with the seductive power of its wines. Here, he looks at the development of the country's wine industry in recent years and its ultimate potential to produce wine which will appeal to both novice and traditional palates. New Zealand is one of the younger new world wine producing nations which respected commentators take increasingly seriously, given the enormous improvements made in quality and variety over the last decade. The old perception of this beautiful country as little more than a producer of controversial Sauvignon Blanc (sickly to some, nectar to others) is now rather out of date. For sophisticated UK consumers, the gold rush and hysteria that accompanied each release of Cloudy Bay Sauvignon Blanc in the 1990s seems happily to have gone the way of Beaujolais Nouveau: in short, we have grown up and moved on. However, it is a point of debate as to how much good was done by that early iconic wine in promoting the country’s profile in international wine circles. Today, people still flock to each release of Cloudy Bay’s wines, which encompass more varieties and styles than just Sauvignon Blanc, but are also increasingly clamouring for its competitors. As result, good New Zealand wines carry hefty average prices and seem to succeed best (in terms of price/quality ratio) at the premium price points. Today, New Zealand’s dynamic wine industry is searching increasingly for the best varietal fits and for true expression of terroir, from its red wines in particular – notably Pinot Noir, but remarkably Cabernet Sauvignon, Merlot and Syrah. Whilst this process will take time – many vineyards dating only from the 1980s and 1990s – the country is currently producing beautifully clean and fruit-driven wines which are a real pleasure to drink. This seems to fit well with its tendency to bottle with screwcap, hinting at a vinous culture which is based on immediate pleasure and not necessarily ready for the patient and reverend ageing process characterised by some of the great & traditional old world wines. In this respect, the aromatic varietals like Pinot Gris, Gewurztraminer and Riesling win accolades, but there is something utterly disarming and urgent too about the more fruit-driven Chardonnays, which in their class and stylistic category are utterly seductive. In summary, there is a huge amount of good wine available in various styles, but the sustenance required by more intellectual oenophiles is largely yet to come – it will doubtless arrive when nature is ready. New Zealand has ten main wine growing regions, each displaying a great diversity in climate and soil types, from Northland (New Zealand’s smallest and warmest wine producing region) to Central Otago in the south (the country’s highest and the world’s most southerly wine producing region). Spanning latitudes of 36 to 45 degrees and covering a length of 1000 miles, the country’s grapes produce a large array of styles from its mainly temperate, maritime climate. There is an increasing focus on sustainable and even bio-dynamic viticulture, the quantity of accredited wineries growing each year. The total number of wineries has doubled in the last ten years alone, whilst the area under production/vine has more than tripled over the same period to over 30,000 hectares. Interestingly, the export volume over this period has increased seven-fold – so New Zealand is very serious about getting its wine out into the world. The main importer currently is Australia, accounting for over one third of exported wine, followed closely by the UK and then the US, these three countries taking over 80% of exported wine. The UK’s erstwhile relative dominance as importer has been affected recently by the weakness in sterling, but it may surprise some that Australia is so keen, given its own prominent wine industry. The answers may well lie not only in its geographical proximity and culturally affinity, but in the contrasting and fresh styles offered by New Zealand’s growers and producers. Below you will find notes on some estates and wineries whose offerings we have tasted in early 2010; these notes will be augmented from time to time by fresh tastings and recommendations. We hope you will enjoy reading our recommendations - please check the site regularly for updates. Alpha Domus winery was established by two generations of the Ham family, with planting commencing in 1991. The vineyards lie in the Triangle area of the western Heretaunga plains and wine is produced entirely from estate vineyards. The principles are to produce premium quality wines that represent varietal character, unique terroir and exceptional value. The name and aviation theme arise from family initials and proximity to a local airfield. This is a good address for well made wine. Light golden appearance with a watery rim. The nose is full of tropical fruit and citrus, fresh and typically chardonnay. The palate seems full flavoured with reasonable length, revealing hints of melon and citrus fruit and some wood notes, alcohol level at 13.5% feels about right. This will keep longer and continue to evolve, but is a good drink now and worth trying with a prawn, chilli and wild garlic pasta. Around £9.99 /bottle from UK agents McKinley Vintners (http://www.mckinleyvintners.co.uk) or try Winesearcher (http://www.wine-searcher.com) for stockists. 14%. Oak barrel fermented. Pale silver gilt colour in glass. The nose is clean and citrusy with green fruit aromas and savoury wood notes. The palate opens out quickly into a luscious, pure, sweet medley of fruit and acidity, with mineral overtones. This is balanced and full, smooth and very moreish. A good wine, very happy on its own or as an elegant partner to Asian food, lobster bisque, chicken and pork dishes. Around £10.50/bottle, try UK agents McKinley Vintners for stockists. Dark ruby in glass. The nose suggests fresh blackcurrant and berry fruit, with damson notes. On the palate, this is spicy, leathery and very ripe, with well integrated tannins and loads of dark fruit flavours, weighing in at 13.5% alcohol. Quite a long finish and obvious keeping potential, but this Bordeaux blend is a pleasant tipple now. A good partner to pasta with a whole nut & garlic sauce, or try with roast chicken + all the trimmings. Around £11.99/bottle from UK agents McKinley Vintners, as above. The name itself comes from the Norfolk (UK) village in which the company’s founder was raised. The initial batch of vines were planted here in the 1980s, leading to the first Riesling being produced in 1994. Today, this is a leading boutique winery sourcing a wide variety of fruit from both its own and neighbouring vineyards, which is vinified on site. Drs John and Brigid Forrest are Forrest, a small, very much 'hands-on" producer of premium quality white wine from their home vineyards in Marlborough. In partnership, they produce the Cornerstone Bordeaux red and Syrah from their vineyard in the Gimblett Gravels Region of Hawkes Bay and premium Pinot Noir from their vineyards in Bannockburn and Waitaki Valley, Otago. The emphasis here is on passion and dedication to producing the best wines with regional typicity. The Mud House company – initially recognised for good value and representative Sauvignon Blanc, its first wine produced only in 1996 – operates in several locations in New Zealand’s premium wine producing districts. Varietals sourced from regions such as Central Otago, Gisborne, Hawkes Bay and Waipara Valley join its early operations in Marlborough. It employs a philosophy of minimal intervention and aims to produce pure, fruit driven wines for early consumption. From a long summery vintage that yielded very ripe fruit. Tank fermented at warm temperatures, then aged for four months on its lees prior to blending and bottling. 13% alcohol. A dark, full yellow gold colour. The nose is all melon and citrus, quite intense and fresh but with a real sense of ripeness. Lovely seductive fruit giving immediate pleasure. The mid-palate follows with mellow tropical flavours, leading to a citrus finish with medium length. This is a very likeable wine, vibrant and forward, with a good depth of flavour. Enjoyable on its own or try with coronation chicken. Around £9.50 /bottle, try agents Maisons Marques et Domaines (www.mmdltd.co.uk) or Winesearcher (http://www.wine-searcher.com) for stockists. A lucid cherry red in the glass, fading to a pink then watery rim. The nose is a lively mix of cherry, red and stone fruit, very fresh, simple and appealing. First impressions are backed up on the palate, which delivers an honest and pleasing mouthful of red fruits, cosseted in 13.5% alcohol. This is an uncomplicated but rewarding drink, good for what it is and lovely on its own or a good partner to fowl or fish if lightly chilled. Should drink from now to 2011. Around £12/bottle, try the agents or Winesearcher as above. Like a black cherry juice, a deep, dark full ruby colour. The nose is akin to a black fruit or cherry liqueur, exhibiting spicy, smoky cherry and orchard nuances and mildly intoxicating (14% alcohol). The palate delivers light tannin, rich fruit and herbs, but its restraint suggests that more will unfold with further ageing. This is still young and slightly backward, but well structured and of high quality. Would go well with roast duck, guinea fowl and sausages. Around £15 - £18/bottle, try the agents or Winesearcher as above. Established in 1985, Nautilus prides itself on producing premium wines from grapes sourced from its Renwick, Opawa and Awatere River Estate Vineyards and from a team of dedicated and specialist growers. In May 2000, Nautilus opened the first winery in New Zealand dedicated exclusively to the production of world-class Pinot Noir and followed this with a state of the art white wine facility in 2006. The company has benefitted from the acquisition of well-trained winemaking talent and substantial investment. Whole bunch pressed, cool fermented and lees aged for three months. A very pale straw colour, showing tints of silvery gold in the light. On the nose, beguiling scents of marzipan, citrus, pears and tropical fruits, with some light cheesy aromas. The palate offers a savoury blend of almond and tropical fruits, good acidity and fairly pronounced alcohol (around 14%). For those who like a bold sipping wine, this works, but it is better as a food wine and makes a sure match for most Asian dishes, or try it with some aged cheese such as Comté, Mimolette or Gouda. Around £13/bottle, stockists as above. The Estate was established in 1992 on the alluvial terraces of Marlborough’s Wairau River by Michael Seresin, a New Zealand-born filmmaker based in London. The Seresin philosophy is to work in harmony with the land, using the finest techniques from the new and old worlds to create wines of individuality and complexity. Organic and biodynamic principles are utilized across the vineyards and olive groves of the estate. Handpicked fruit and minimal intervention in the winery, including wild yeast fermentation, allow the terroir and individuality of each wine to show. The following wines are available from John Armit (www.armit.co.uk). Most of the NZ Pinot Gris that I have tasted over the last few months have been revelatory – and consistently good. This fine bio-dynamically produced example is no exception. Naturally fermented with wild yeasts and aged in French oak for four months (alcohol 14.5%). Soft golden hue in glass, beguiling aromas of fresh citrus and green fruit, which follow through onto the palate. Delivering soft, exotic and ripe flavours, this is a very pleasant drink indeed – on its own, or as a good partner to cheese, white meat and fish dishes. £17.30. 13.5% alcohol. Bio-dynamically produced, 11 months ageing in 20% new French oak, unfiltered bottling. Quite a dark crimson/ruby colour. The nose is brimming with black cherry and plums. Pure and deep flavours tinged with wood notes. Good high-toned NZ pinot, definitely worth the price when contrasted with its peers and far away Burgundy. Drinking now, but has potential for keeping for a few years to mellow and develop complexity. Around £18.70. On the nose, this dark ruby coloured wine gives off an immediate hit of simple honest pinot noir fruit, following up on the palate with cherries, plums and a very smoky nose, almost a hint of gunpowder. This is full and satisfying, the 13% alcohol level not getting in the way of its complexity and the tannins refreshingly ripe and integrated. Good with roast duck. £14.99/bottle, available from Adnams as before. 13% alcohol. Soft silvery gold colour. Not a very pronounced nose, but hints of citrus and tropical fruit. The palate is very clean, with good acidity and fruit, some light savoury characteristics. Stone fruit notes. This is good quality, simple and pleasing with reasonable length. Goes well with baked salmon and a mushroom sauce. £8.95/bottle from Waterloo Wine (www.waterloowine.co.uk). 14.5% alcohol. Golden colour almost like a young Monbazillac. The nose is all clean fruit, citrus, melon and other tropical notes, quite pronounced. A touch of overripe kiwi fruit. The round lush palate greets the drinker with papaya, melon and light citrus, with good acidity and warm alcohol. Quite a big wine which achieves an almost Chenin Blanc-like roundness. A lovely wine, not hugely complex but satisfying and full. Very good with fish pie and would accompany subtle Asian and fusion food and white meat dishes. £10.25/bottle, stockist as above. 14% alcohol. Light garnet fading to brick red showing some maturity. A good colour. On the nose dark fruit, some wood, cherries and raspberries. The palate shows lovely mellow and soft fruit with some light apple character, ripe and harmoniously integrated with the wood and tannins evident in the wine. This is good, quite long and a fine partner to roast pork with a prune and walnut stuffing. £16/bottle, stockist as above. Vavasour Wines were the first to plant in what is now regarded as one of the premium grape growing regions of Marlborough – the Awatere Valley. The Vavasour vineyard was begun in 1985 and the first vintage made in 1989. The soils here are free draining and the area has a dry, warm and frost free climate different to the rest of Marlborough, which can enable production of wines with a unique and distinct flavour. The obvious fruit-driven style is increasingly backed up by more structured offerings, which have gone on to win accolades locally and internationally. Clear silvery gold hue in glass, the nose yields faint citrus and zesty tropical aromas, with tangy orchard fruit notes. On the palate, sweet fruit, bags of acidity and high residual sugar combine with warming alcohol (14.5%) to create a wine of strength and character, albeit without great finesse. Notwithstanding, this is a good wine, ready now or fine for the next 2-3 years. Went beautifully with something I have never tried before: a Tuna/Cheese melt. Around £13/bottle, try agents Barwell & Jones (www.hbjwines.co.uk). This clear pale straw liquid offers a fresh, citrus nose with slight cheesy and oily overtones. The palate is light and fruity, leaving an impression of citrus and minerals. The effect is highly stimulating and seems to carry a subliminal message to the appetite: prepare for food. This will drink well with a large variety of foods and as such is highly versatile (13% alcohol). Try it with emmenthal and gouda cheeses, sea fish marinated in lime and chilli, with poached salmon or grilled trout. Good stuff, around £13/bottle. Try the agents as above or Winesearcher (http://www.wine-searcher.com). Nine months in French oak barrels, all from vineyards bordering the Awatere River. Good pinot, classic NZ flavours of up-front fruit, a year’s bottle ageing already showing to its benefit. Excellent balance and weight, a good partner to slow cooked lamb and garlic roast potatoes. Around £14/bottle, try the agents as above or Winesearcher (http://www.wine-searcher.com).